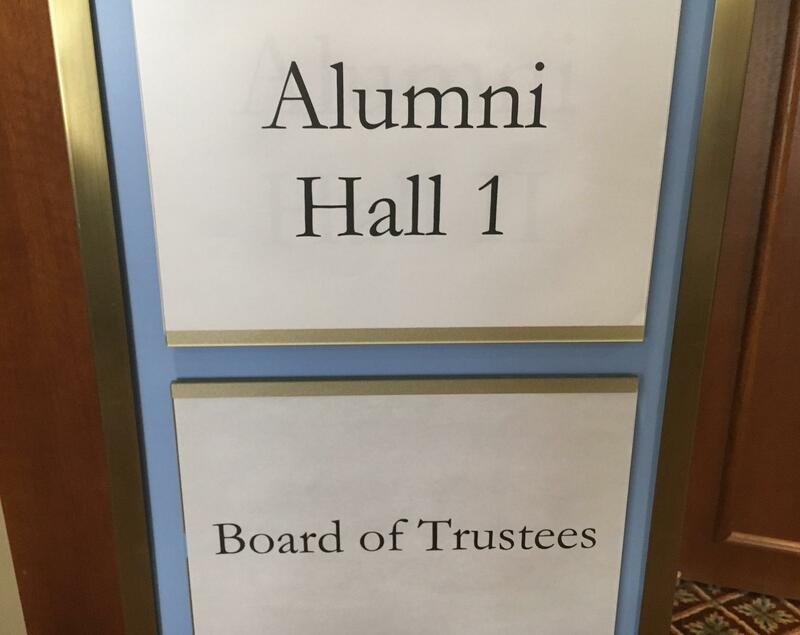 The UNC Chapel Hill Board of Trustees met behind closed doors - again - without making an announcement on a replacement for Chancellor Carol Folt. The board met for more than two and a half hours today. That comes after a three hour meeting last Friday. Because both were emergency meetings held in closed session – and interim UNC System President Dr. Bill Roper was present for both – it’s very likely that the topic being discussed was an interim replacement for Chancellor Carol Folt. Folt resigned last week, at the same time that she announced she was ordering the removal of what was left of the Silent Sam Confederate statue from campus. She said she would stay on through graduation in May but the UNC Board of Governors cut that short, and said her last day would be next week. Last week, BOG Chair Harry Smith said Roper – with less than a week on the job, himself – was authorized to find and hire an interim chancellor. Roper did not speak to reporters after today’s meeting. UNC-Chapel Hill Trustees Chair Haywood Cochrane only briefly answered questions, including what qualities he believed a new chancellor must possess. “Deep love for the university. Strong work ethic. Integrity. Unparalleled understanding of the need for balance on this campus, and beyond,” he said. Smith has said that the five-member team of BOG members selected to come up with a future plan for Silent Sam will continue its work. They are expected to present that plan in March.